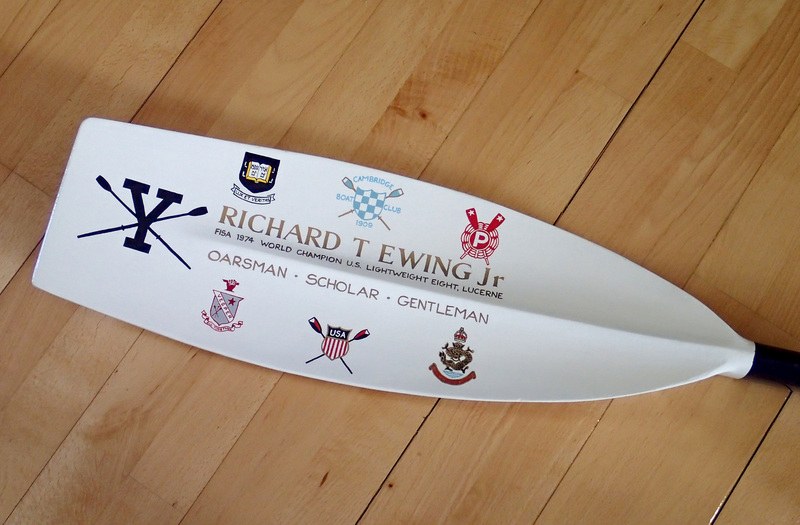 If there is anyone who is almost singlehandedly trying to encourage a re-birth and re-discovery of the rowing blazer, then it is Jack Carlson. 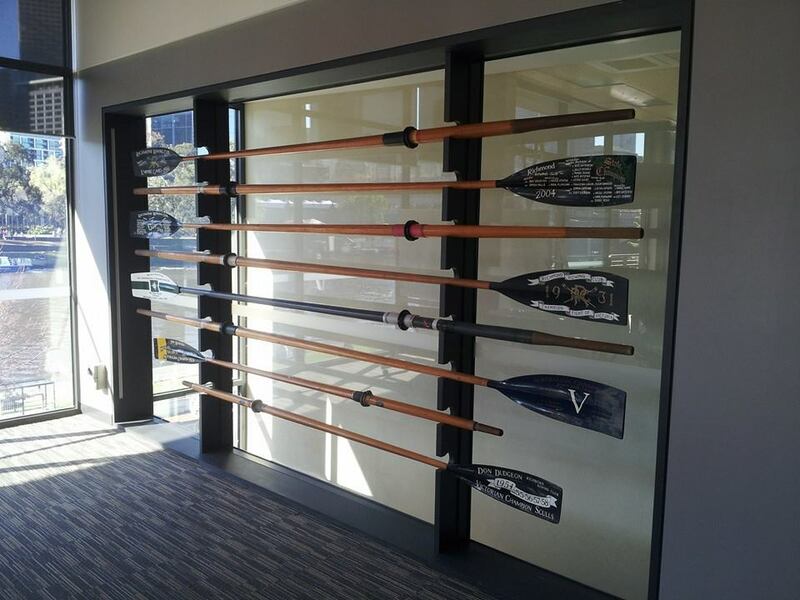 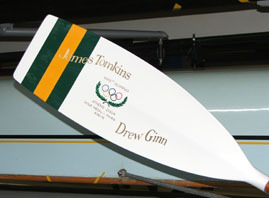 He is a USA rowing representative, scholar, author, and now business entrepreneur. 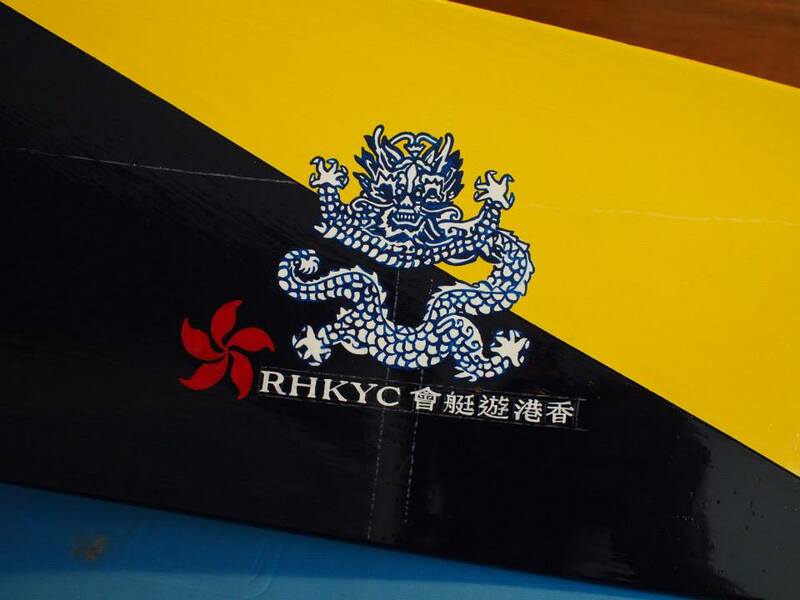 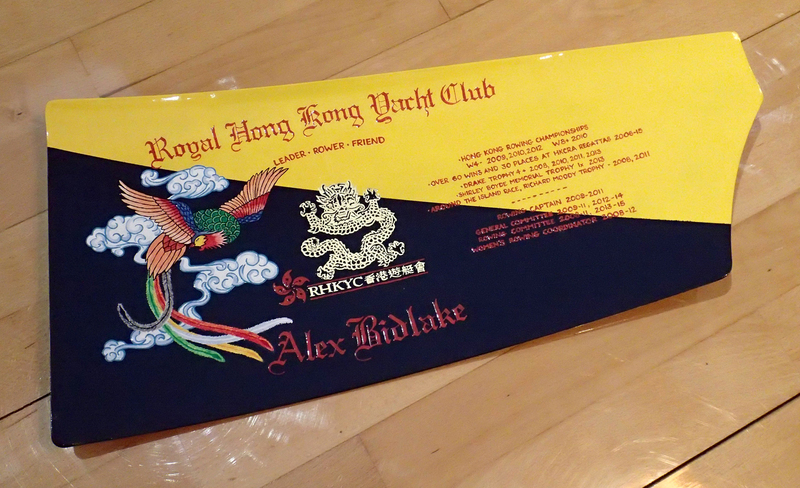 Our paths first crossed when he contacted the club I was managing in Hong Kong asking for our help with a book he was creating about rowing blazers. 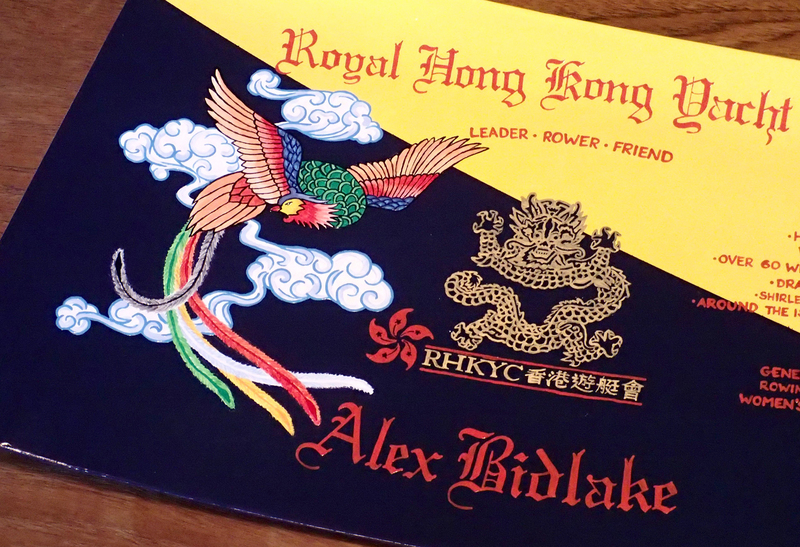 With a lot of back and forth, we managed to find a club member with blazer in hand who was able to meet Jack’s photographer in London. 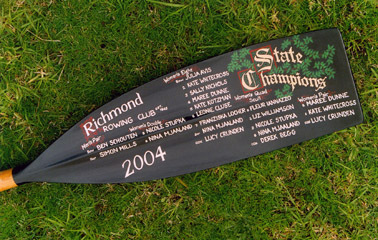 I can only imagine how much work it was to coordinate photoshoots with the many dozens of clubs that featured in the final book! 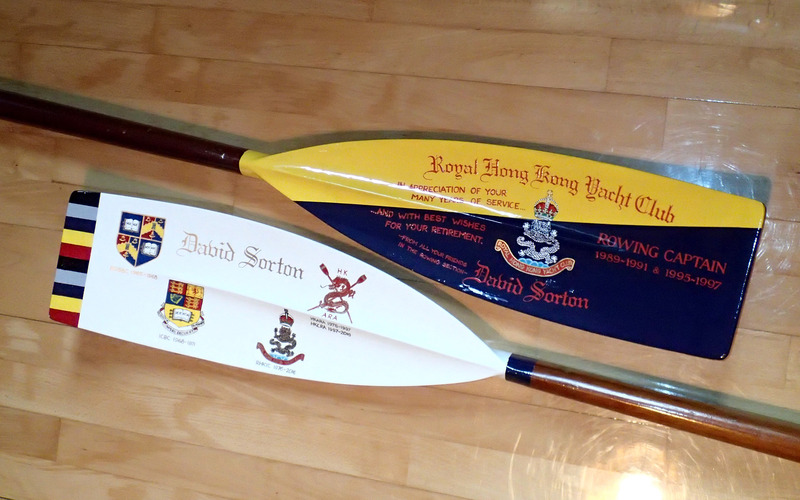 Early ‘blue’ edition & current ‘red’ edition. 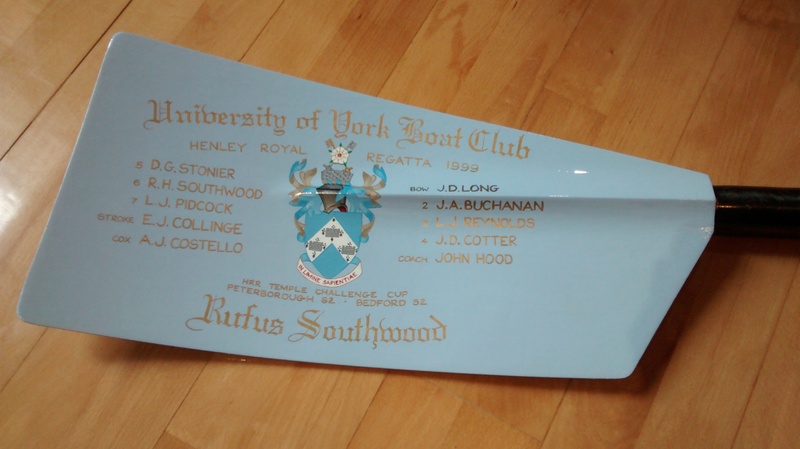 Essential for any rowing geek’s library. 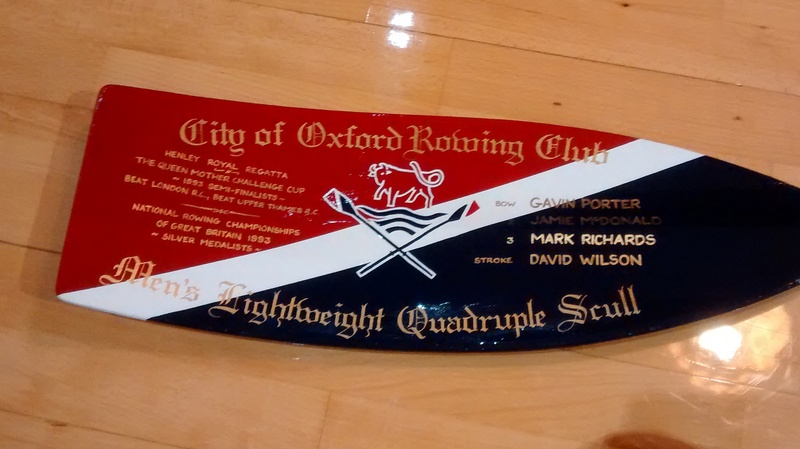 We have never rowed together, although he was scheduled to be the ‘ringer’ expert coxswain for a Head of the Charles club crew I’d been drafted into for 2016. 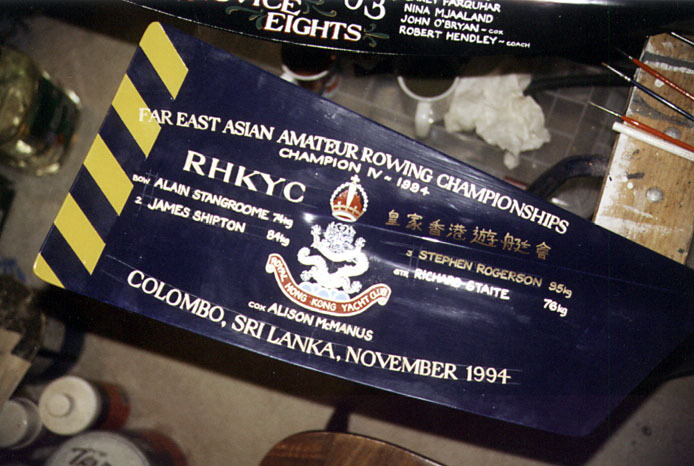 Unfortunately he was called away at the last moment on urgent business and we had to ‘make do’ with another ex-international coxswain. 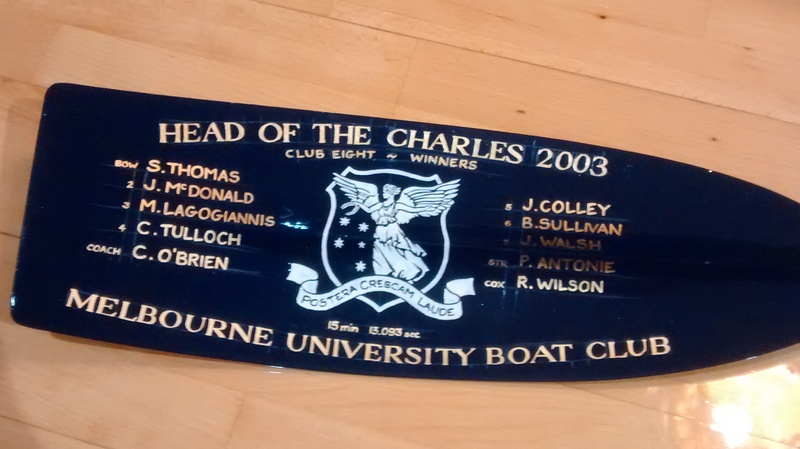 However, we did manage to meet after our race when he generously hosted my wife and I for lunch at Cambridge Boat Club. 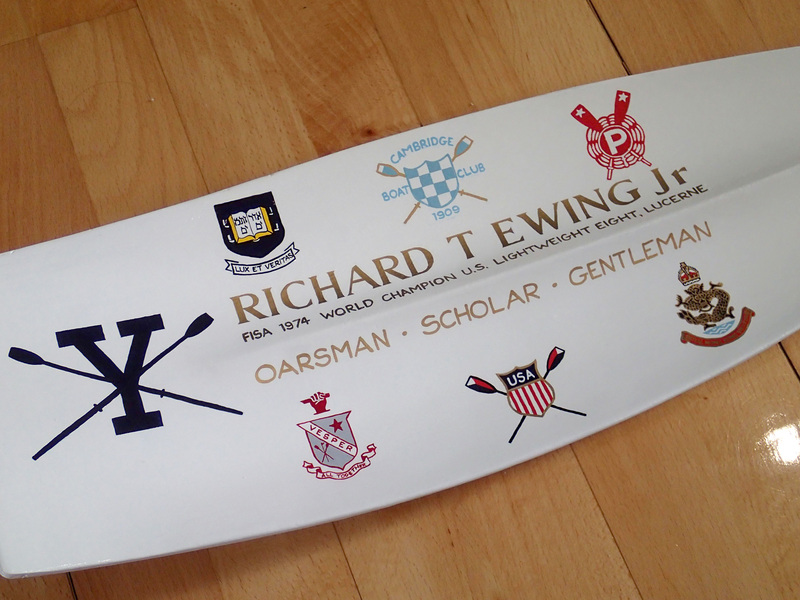 Jack is a lover of all things rowing, not just blazers. 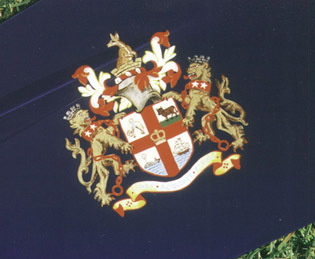 He is also very keen on heraldry (and author of a short book on the subject) and this topic is remarkably related to the modern blazer. 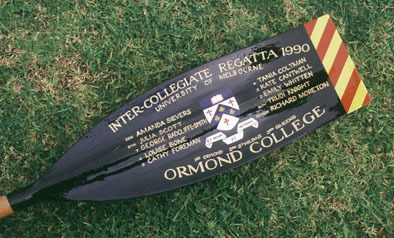 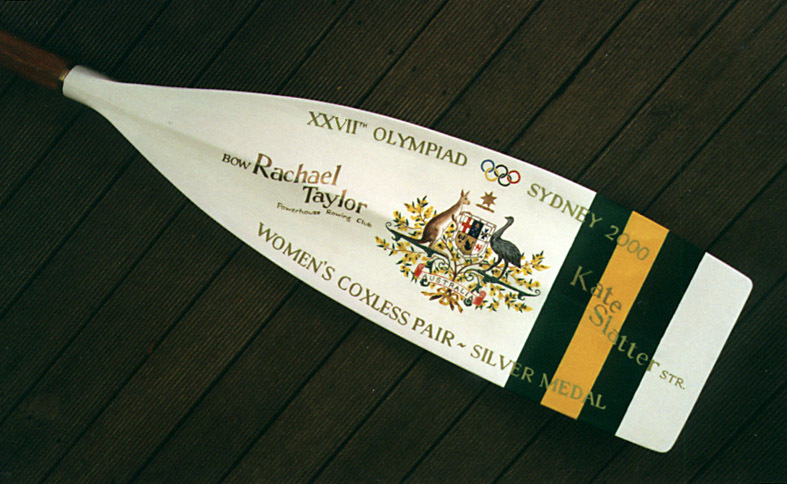 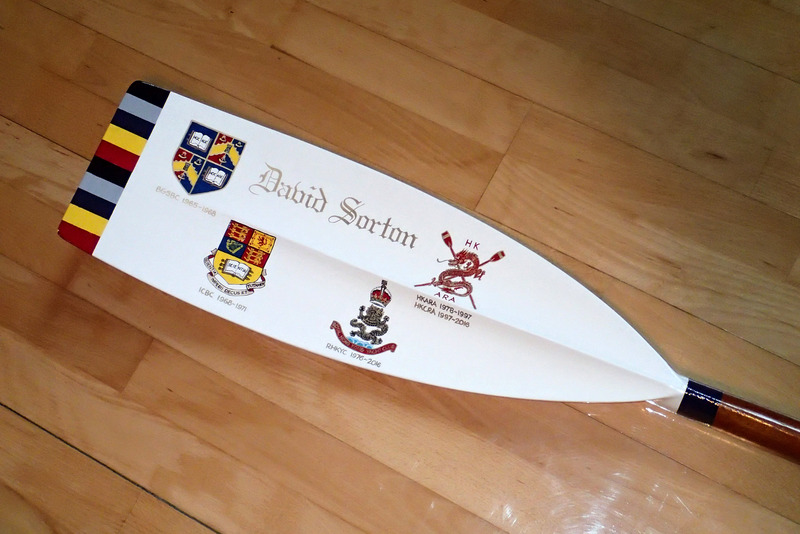 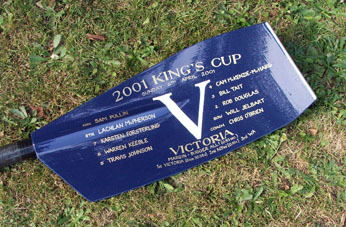 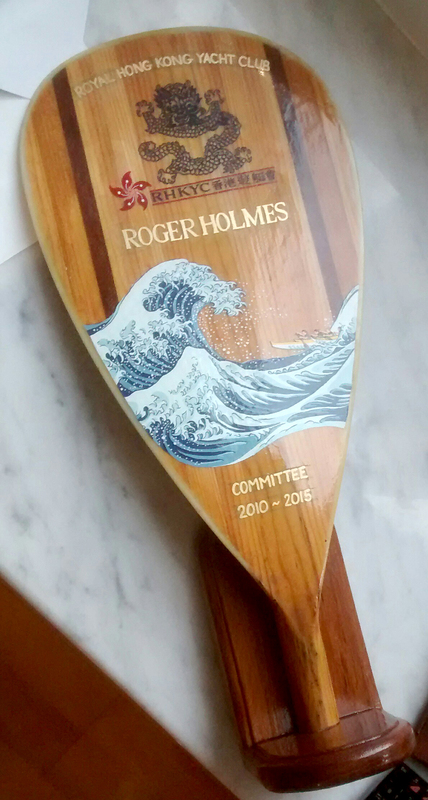 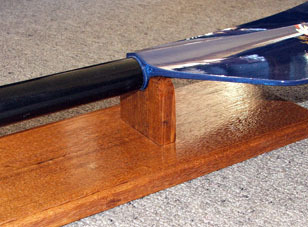 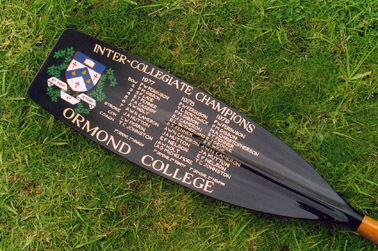 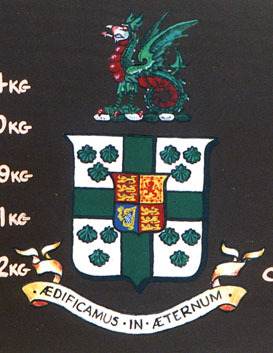 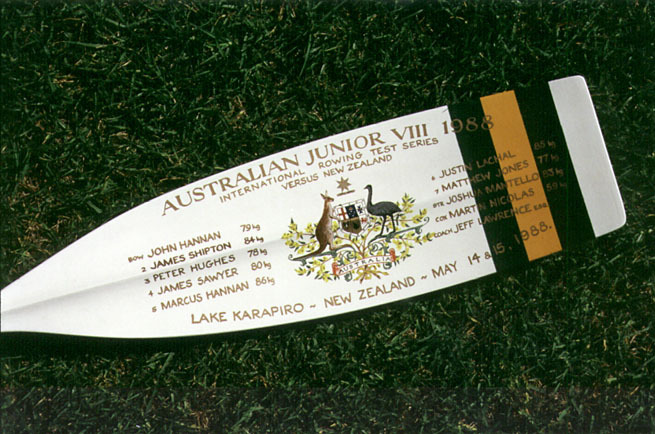 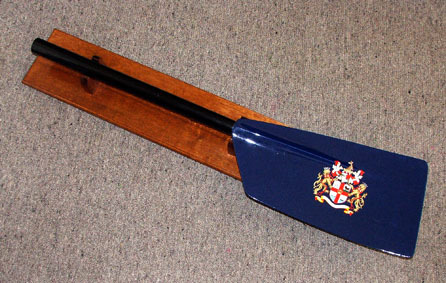 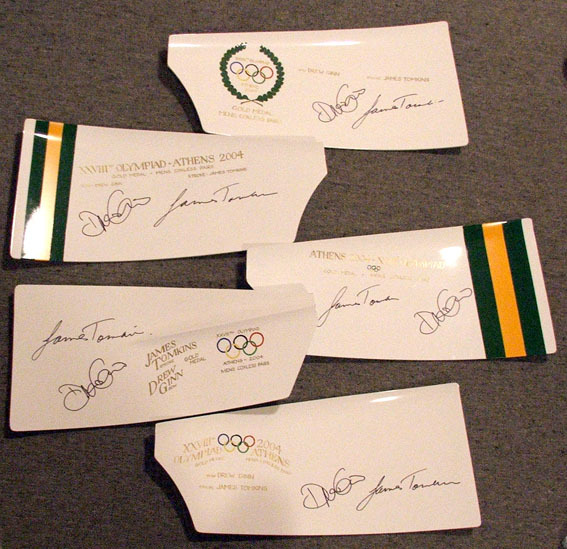 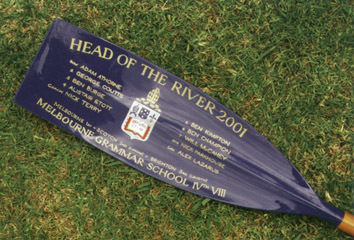 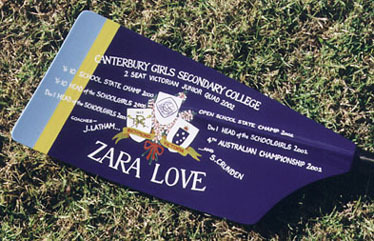 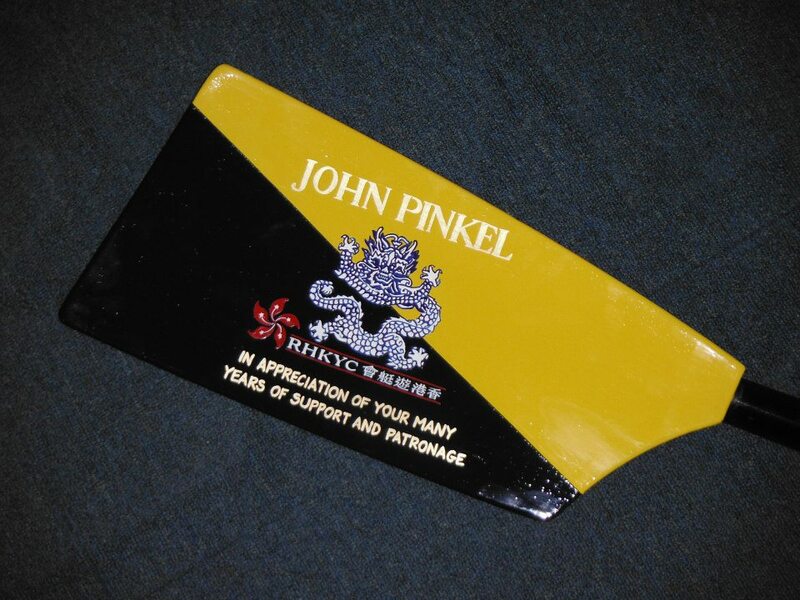 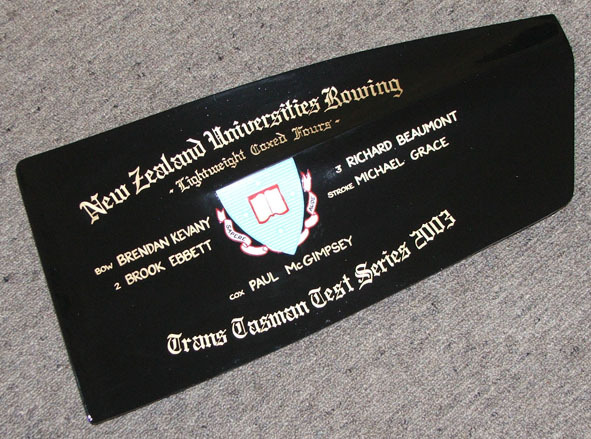 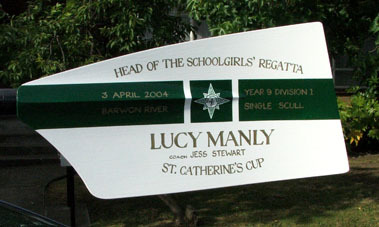 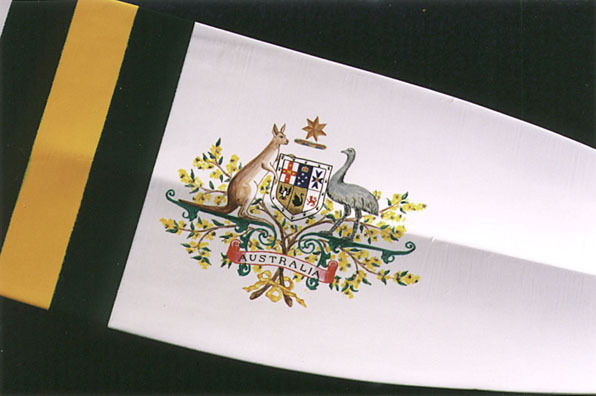 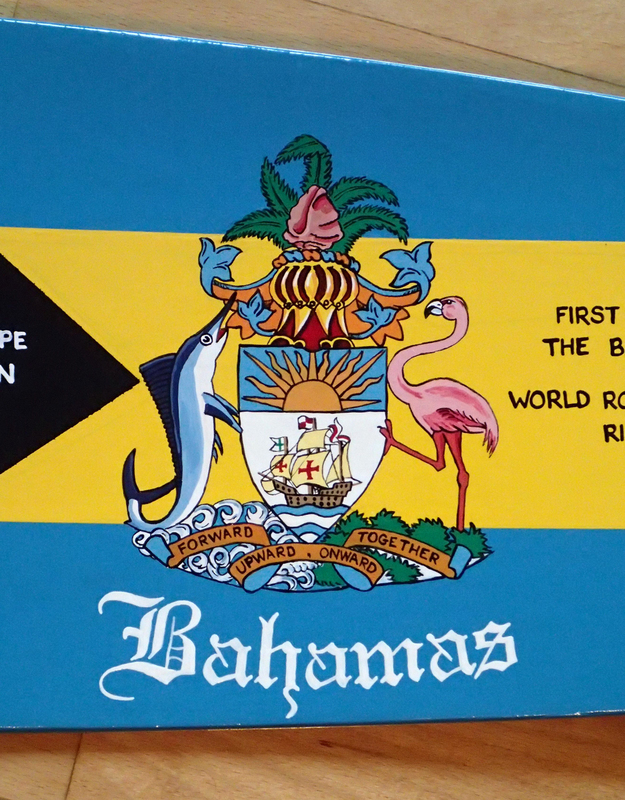 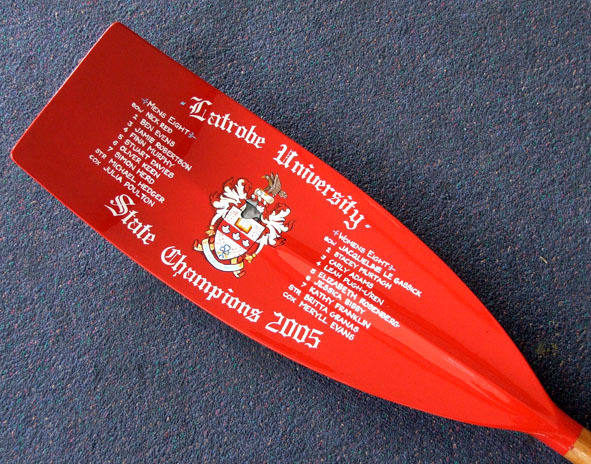 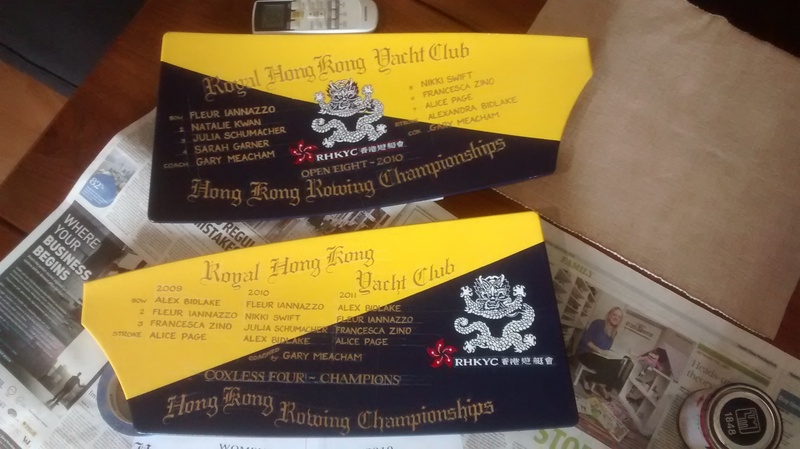 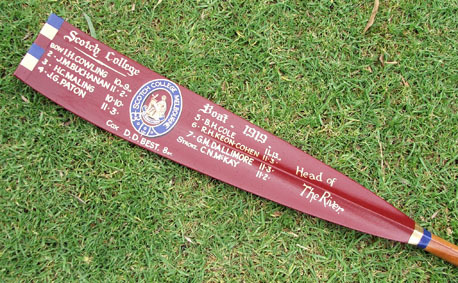 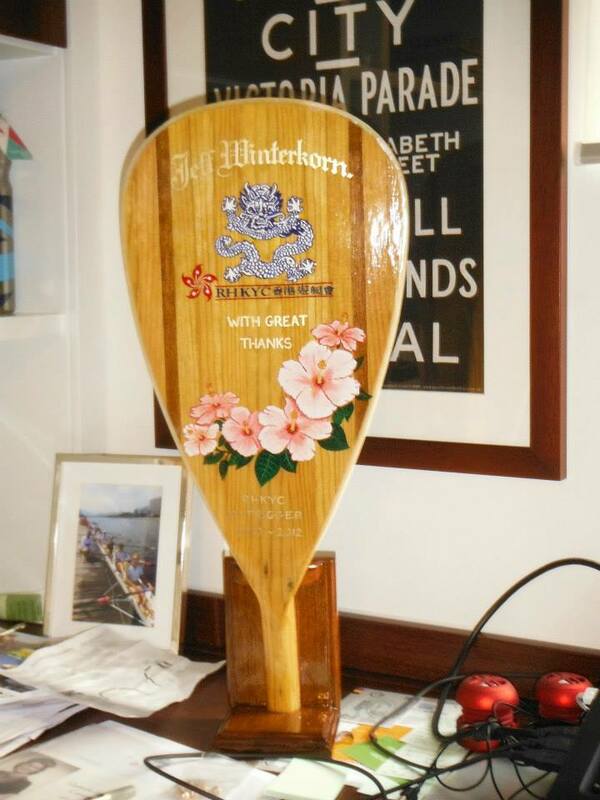 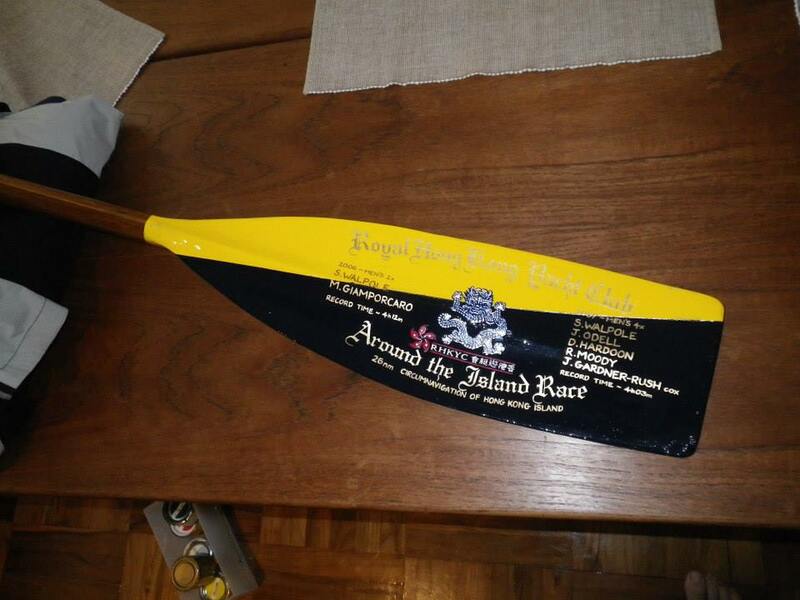 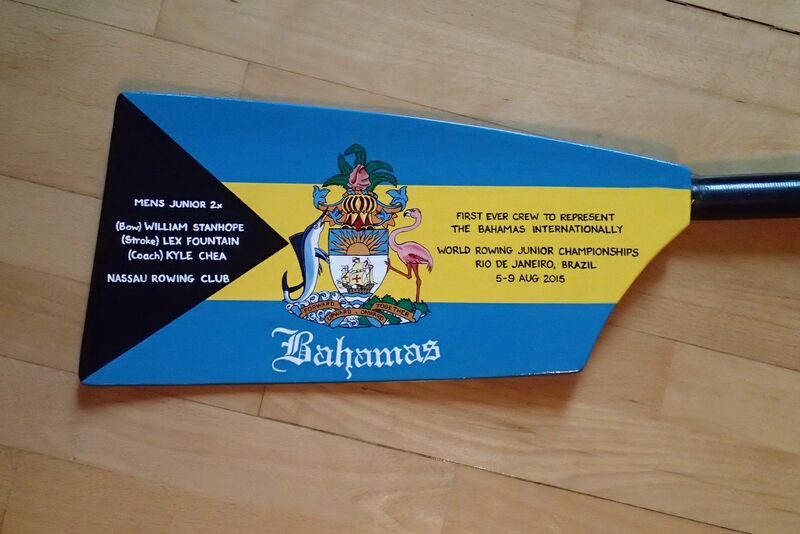 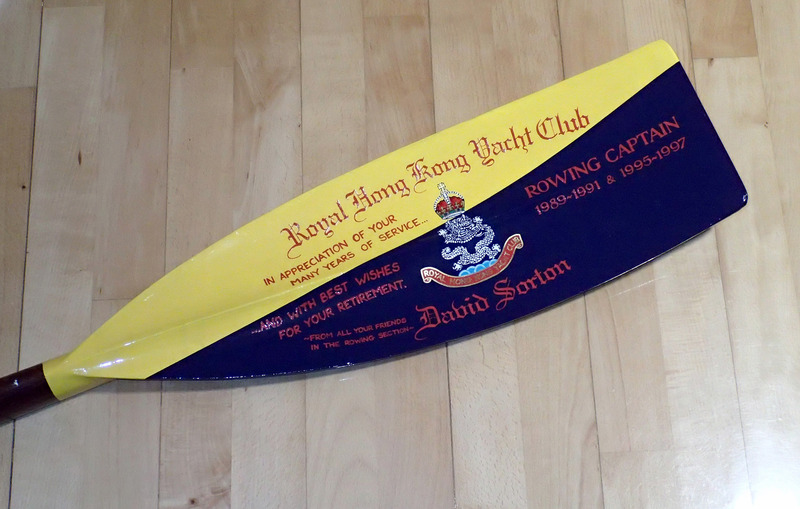 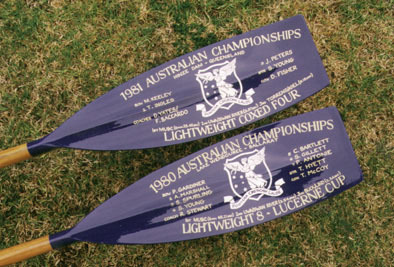 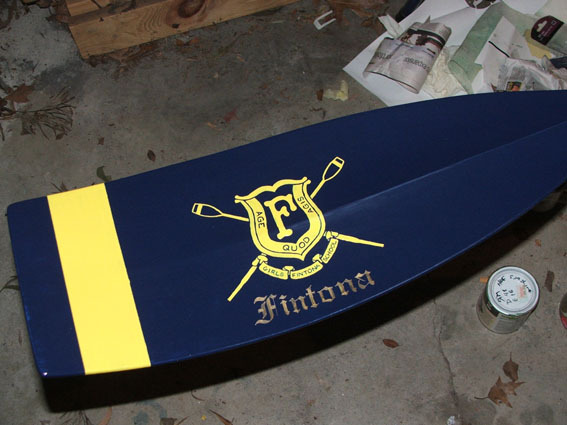 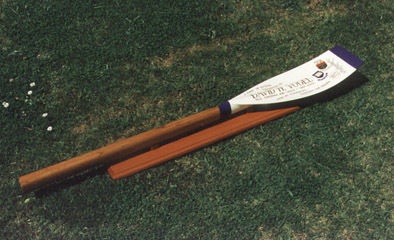 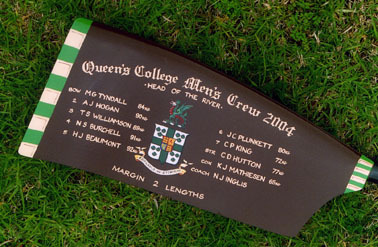 Heraldry is a also key component in most trophy oars and since we met I have painted a trophy oar for him (USA tri-colour blade shown in earlier posts) to help celebrate one of his key races. 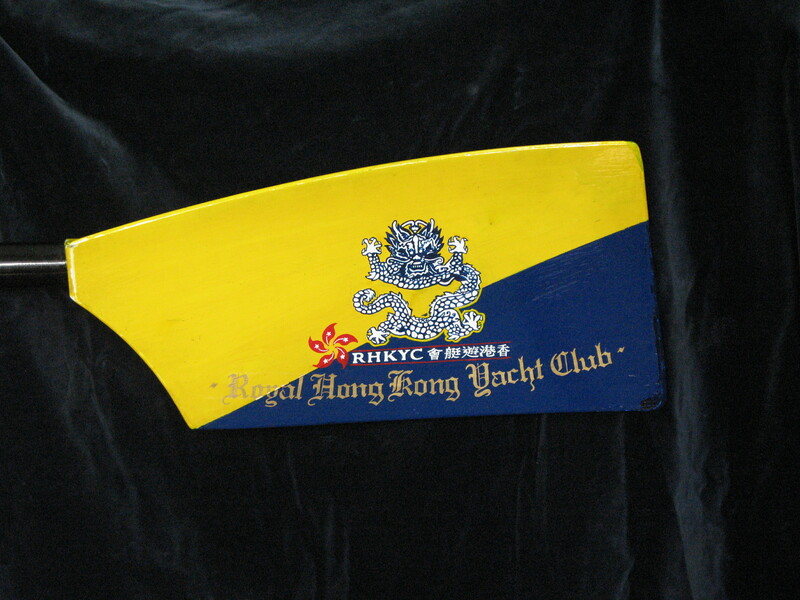 Now he is turning his hand to making blazers with the launch of his new business Rowing Blazers. 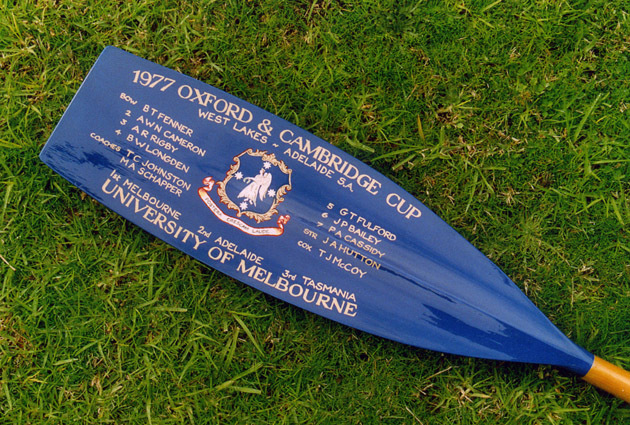 There is good deal of publicity around the launch, no doubt heavily assisted by his expert status on the subject through his book. 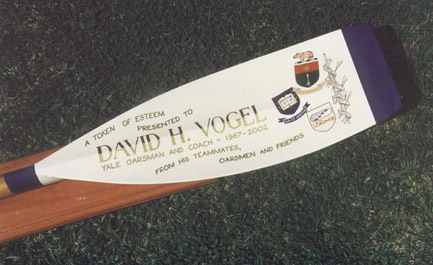 He is probably the first person to truly celebrate the blazer. 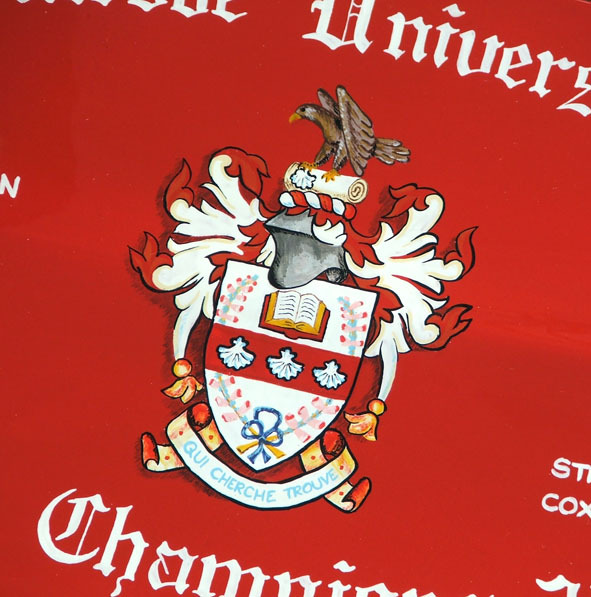 Bloomberg, Apparel, Mr Mag, Wall Street Journal (subscriber only). 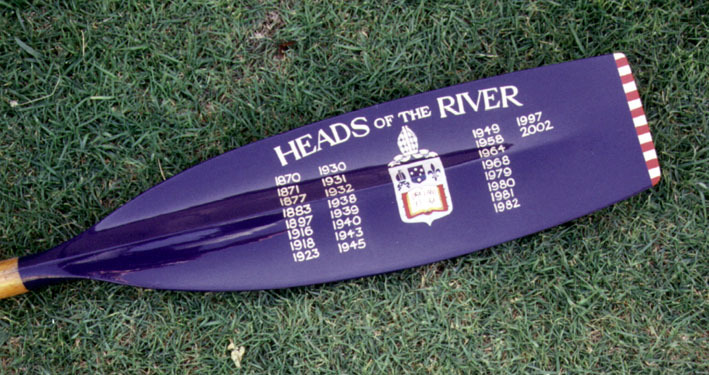 If you start to see more rowing blazers across the USA, far away from their home turf of Henley and OxBridge, you will now know who is responsible.